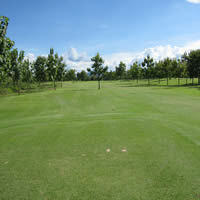 Gold Canyon Golf Club is located about 1 hour from Chiang Mai near Lamphun. It’s an 18 hole course built in the wild, rough and rugged Thailand countryside. It’s perfect for travelers looking for something a bit more adventuresome with beautiful scenery and a unique course design. It’s built so naturally that on a few holes the trees are directly in the way of your shot so you will have to decide the best way around these natural obstacles. The first nine is considered relatively easy and in stark contrast the back nine is considered relatively difficult (even by advanced golfers). Although most Golfers thoroughly enjoy the back nine with thick grass, tighter areas and water hazards it is rather challenging and fun. The clubhouse offers all basic necessities and with the beautiful rugged terrain and natural scenery why would you want to golf anywhere else but Golf Canyon Golf Course Chiang Mai.